The vehicle used for drawing up these application docs was a USDM 1999 Mazda Miata 1.8L with a manual transmission. 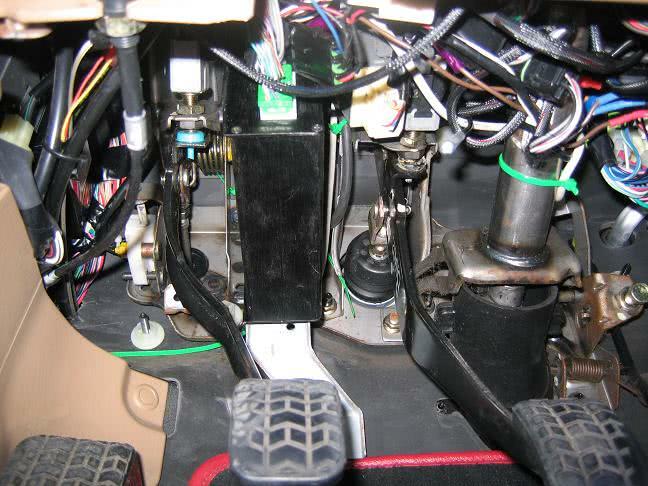 All factory electronics/ignition system components are in place and the factory wiring harness is in perfect condition. 1- DIYPNPN76-K Kit. This is the main DIYPNP Kit including the Nippon Denso style 76-pin connector and all components, case, etc. * European models with immobilizer use 4P. In the Jumper Notes above we’ve included a pair of jumpers for radiator fan activation using the ‘Relay 1’ circuit. You’ll notice we suggested using PA0 on the mainboard to drive the fan, and run the output from ‘Relay 1’ over to 1R on the ConnectorBoard to drive the fan relay. You can configure the fan activation in TunerStudio from the ‘Extended > Output Ports Settings’ Menu. More information on configuration can be found in the MS2/Extra Documentation here. In the Jumper Notes above we’ve included jumpers for A/C clutch and fan activation using the ‘Input 1’ circuit. The Input for the AC system comes in from the A/C switch on ConnectorBoard pin 1P. The output of the “Input 1” circuit gets jumpered to both 1S and 1I on the ConnectorBoard. These two pins will activate the A/C compressor clutch relay and the A/C condensor fan relay. You will need to leave R14 out of this circuit or cut out R14 if you installed it. In the Jumper Notes above we’ve included jumpers for the VICS variable induction system. The VICS actuator should have vacuum at idle and changes state at 5000 RPM. We have used ALED as the output to control the VICS system at Connectorboard 4Q with RPM as a single output condition, a threshold of > 5000, a hysterisys of 300, “power on” set to 0, and “trigger value” set to 1. This all means that the output will activate at 5000 RPMs, won’t turn back off until 4700 RPMs, is off when the MS is powred and the engine is started, and is activated when triggered. If your VICS appears to be opposite and has no vacuum to the actuator after the DIYPNP install at idle, you may need to swap the “power on” and “trigger value” numbers. You have a choice here. You can go with the conventional batch fire of the fuel injectors or you could go full 4 cylinder sequential injection using the DIYPNP sequential module. Click here as for the full sequential documentation. The injector outputs are numbered as they appear in the firing order when using the sequential injection mode. 1-3-4-2. Injector one remains the first injector, while injector two is actually cylinder three. Injector three is from cylinder four and injector four is from cylinder two. If you choose batch mode continue to wire the injectors as you normally would by following the jumper configuration above. The voltage regulator for the 1999 Miata alternator is built into the factory engine computer. We have successfully used this circuit below to regulate the alternator’s voltage. This circuit has been passed around on Miata forums for a while and we believe it was originally designed by Jason Cuadra. We’ve modified it to fit the DIYPNP proto area. Click on the picture for a larger view. This circuit requires a switched 12V input, ground, and connection of the circuit’s output to the “Field” terminal. The Proto Area under the MicroSquirt Module is a very convenient place to build this circuit. Switched 12V can be taken from one of the three 12V terminals on the DIYPNP mainboard, ground can be used from the terminal just beside the Proto Area, and the “Field” output can be jumpered to Connectorboard terminal 1O. The DIYPNP allows you to disconnect the Mass Air Flow meter. When you remove the MAF, you will need to install a GM style intake air temperature sensor in your intake. 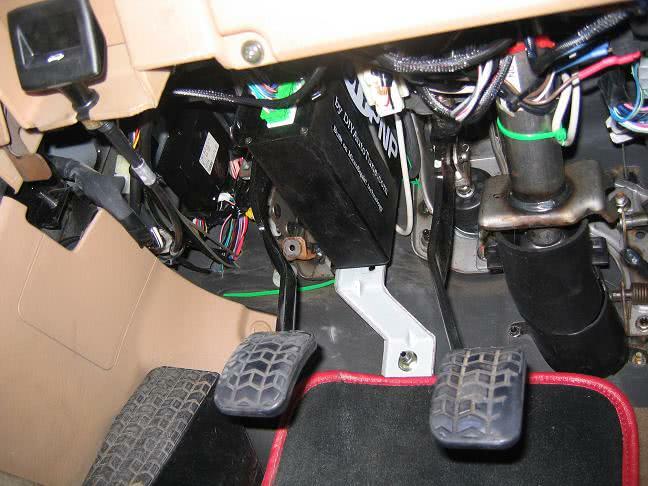 The IAT sensor on NB Miatas has a separate plug with two wires, as shown in the photos below. 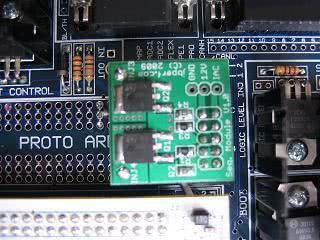 IAT sensors have no polarity, so it does not matter which wire you connect to which pin. 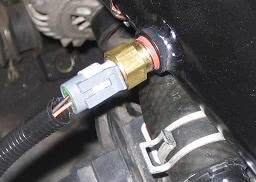 Simply wire a GM Open Element IAT Sensor into your factory wiring harness at the IAT connector. You can poke wires into the IAT connector, or you can cut and splice. There are only two leads to this IAT connector. It does not matter which way you connect them as the IAT sensor does not have a specific polarity. The wires should then be folded down over the edge of the IAT connector, and the whole assembly firmly and cleanly wrapped in high quality electrical tape sealing it up. 3M makes some good stuff that can handle the temps found in engine bays– read the specs. The DIYPNP actually fits quite well in the stock ECU location between the brake and clutch pedals. We have reused the lower bracket only and secured the DIYPNP with zip ties to the lower ECU bracket at the bottom side of the unit. 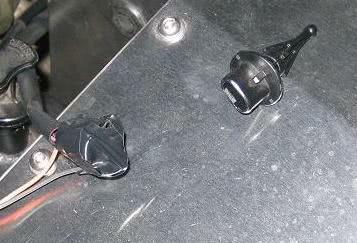 At the top of the DIYPNP we have again used zip ties to hold the DIYPNP steady against the clutch pedal bracket.